Sinead studied for her Law LLB at the University of Manchester. She went on to study a LLM in Human Rights Law at Queen’s University Belfast, graduating in 2013 with a distinction. 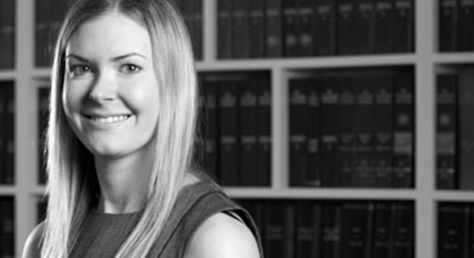 Sinead joined Wilson’s Public Law department in 2014 and qualified as a solicitor in July 2018. Sinead has assisted the public law department on a range of cases such as bringing actions against the police and other public bodies including detention under Schedule 7 of the Terrorism Act 2000. She has a particular interest in civil claims for false imprisonment and Judicial Review applications challenging detention. Before joining Wilsons, Sinead worked at a charity working on specialised programmes facilitating those with Autism and Asperger syndrome as well as working at the Law Centre (NI) representing individuals at Social Security Tribunals. She has also completed internships with The Community Foundation for Northern Ireland, Rights Watch UK and Reprieve. Whilst at Reprieve she worked in the Abuses in Counter-Terrorism Team working on cases concerning clients in Guantanamo Bay and drone strike victims. Sinead is a member of the Young Legal Aid Lawyers. Interests: Hiking, salsa dancing, travel.